Why don't more girls study STEM in college? 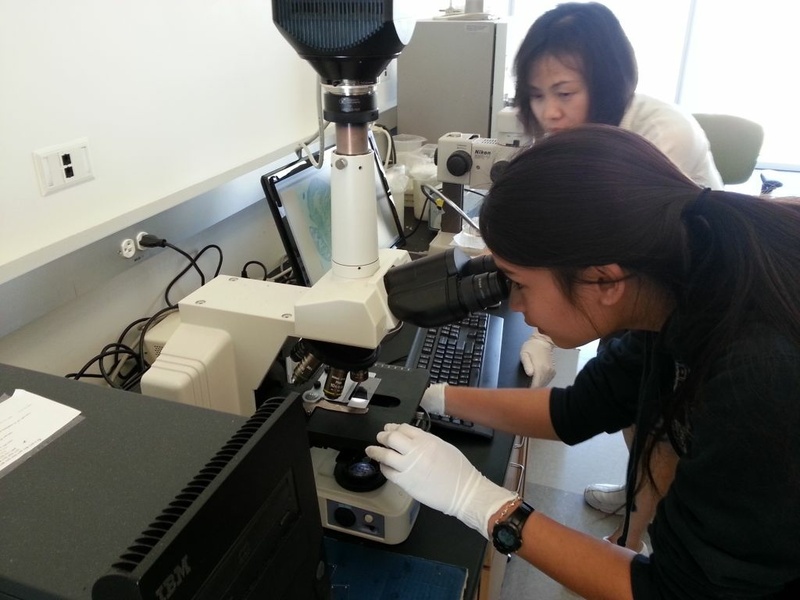 Hua Shen (above), a postdoc in the lab of Henry Sucov, associate professor at the USC Keck School of Medicine, mentors high school student Sophie McAllister as part of the USC Early Investigator High School Summer program in Stem Cell Research. If you look in one of the state's many high school STEM classes, you might notice there are a lot more girls than in years past. STEM, of course, being Science, Technology, Engineering, and Math. Several non-profits in the state and around the country have done a lot to get more young girls interested in these topics. And data shows that girls make up half the science and math classes these days. However, the number of women who go on to engineering, technology, or math in college hasn't kept pace. Carol Tang has some thoughts. She's head of the California Girls in STEM Collaborative. Tang spoke Monday with Take Two's A Martinez.